In a live “World Tapestry” video conference with students, Andrew Pearce, a Greenwood School alumnus, shared his journey as a struggling boy with dyslexia to a successful entrepreneur and the Founder of Andrew Pearce Bowls. Today, he oversees a team of 16 employees who carefully craft and sell thousands of “twice turned” wooden bowls made of locally sourced black cherry and walnut trees. Answering a Greenwood boy’s question, Andrew described the largest Pearce Wooden Bowl ever crafted. Measuring four feet in diameter it fits two people, took over two and a half weeks for the team to make, and costs $12,000. After attending The Greenwood School for four years Andrew was prepared to transition on to a more traditional educational environment. He graduated, entered a program working on cars, followed by a sailboat adventure traveling to 15 countries. Andrew eventually returned to Vermont and worked for his dad at Simon Pearce Glass, learning all aspects of the operation. Inspired by his father he said, “my dad has built an amazing business with great design and a strong work ethic.” In keeping with the family tradition, Andrew opened Pearce Wooden Bowls, a third generation entrepreneur going back to his grandfather who had a “pottery” in Ireland. 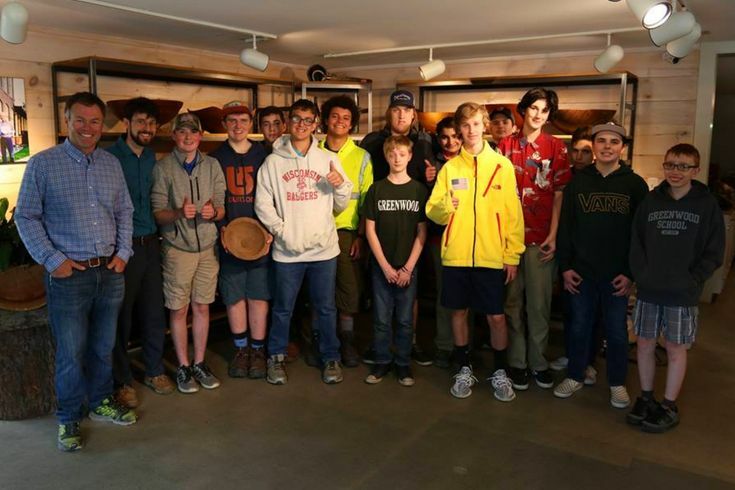 As follow up to the live Q&A video conference, Andrew invited the Greenwood boys to tour both Andrew Pearce Wooden Bowls and his father’s operation, Simon Pearce Glass in Vermont. From tree to table, students witnessed all that goes into crafting, caring for, and selling his heirloom bowls. 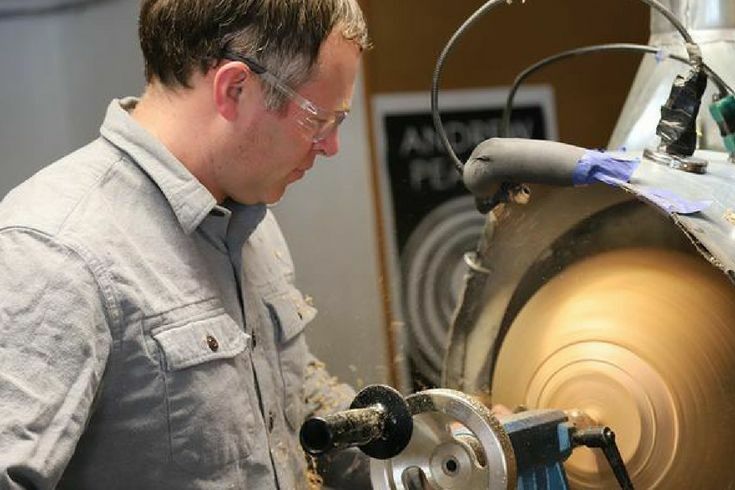 “It’s very hard to do something different or unique.” Fifteen years ago, after seeing an appliance that made a bowl in a bowl in a bowl, Andrew had the idea of combining the “hand touch” to machine made bowls. He brought his vision to life. Today machines do the heavy work cutting from logs, before the artisanal designed Pearce bowls are hand turned and oiled, using tools that Andrew and his crew developed in the workshop. “I haven’t done this alone. I have 16 employees….a team. I look for someone who has a good work ethic, who follows the rules and shows up on time. The person is more important than the skill.” Andrew is equally focused on taking time to enjoy shared experiences with his troupe. On a recent deep sea fishing trip, he and the team took pause from the ongoing pursuit of growing the business which now ranks as the largest purveyor of hand crafted wooden bowls in the world. Andrew Pearce leads Greenwood boys in a tour of the Pearce Wooden Bowl workshop, explaining all that goes into becoming an entrepreneur.